Comprehending the changing needs and necessities of our customers, we are wholeheartedly betrothed in delivering a wide range of Ship Bunker Surveys service. Widely appreciated for their flexibility, timeliness and reliability, these offered services are delivered with excellence. Moreover, we also assure of charging only reasonable amounts for our offered range of services. Although avoidable there are also cases of damage in the field of “carriage of freight. May it be offshore or onshore, Sunsea Shipping LLP is the right contact for you. Bunker surveys are needed to determine quantity of fuel or liquid cargo on board a vessel or in tank-wagon. 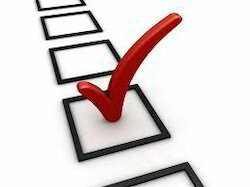 The bunker surveys are often performed in conjunction with on/off-hire surveys. The experienced specialists of our company fulfill bunker surveys of all types. Drawing on the expertise collected at Mediterranean Navigation, we also offer independent specialist consultancy on technical, administrative and commercial issues. Ascertaining the exact quantity of bunkers on board at the time of on hire & off hire. Bunker Surveys are carried out for DELIVERY and RE-DELIVERY of vessel / ship purposes and also for Loss Control in supervision of loading/discharging of petroleum products by tankers or barges. 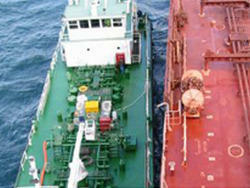 - Measurement of the bunker tanker and receiving vessel, before and after delivery.